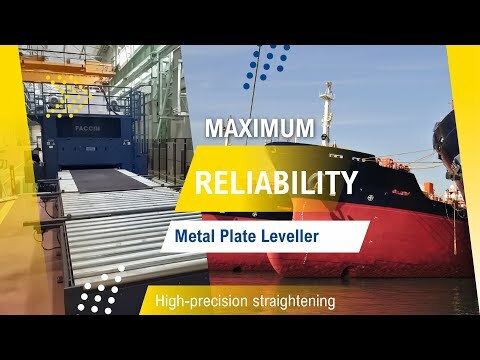 ROUNDO is a well-known worldwide leader in designing and manufacturing of section rolls and plate bending machines, with over 16,000 machines installed worldwide since 1964. 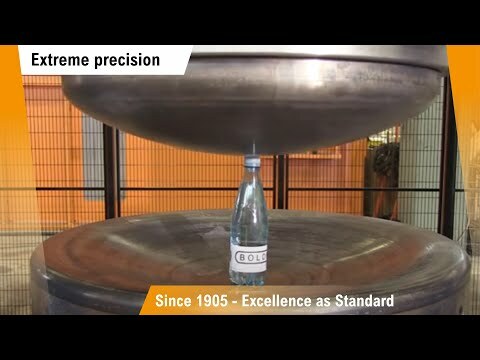 From the beginning, we have steadily developed and enhanced our systems, delivering thousandsof bending machines equipped with the most technologically advanced CNC as well as providing CNC retrofitting for the machines already in the market. ROUNDO wCNC allows you to control not only the rotation and positioning of the rolls but also provides a wider range of possibilities thus involving side functions of the machine itself, from standard to tailored models. 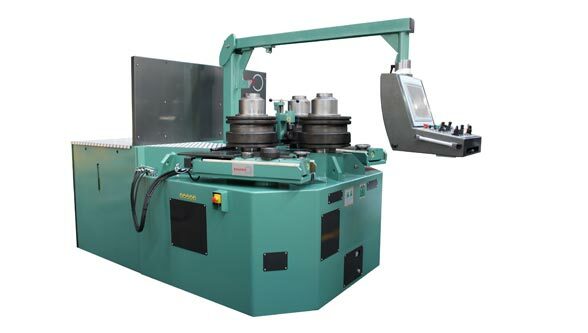 In plate bending machines, this implies, among others functions; drop end operation, crowing effect from the support rolls, lifting roll, ejection device, infeed and outfeed systems, tilting of the top roll, side and top supports. Regarding section bending machines additional axes may include, guide roll units in all their directions, pressure adjustment of pushing/pulling device, calibration and pitch of the spiralling support, mandrel and turning equipment, and laser measuring device for a real-time bending radius regulation. In fact, with ROUNDO wCNC, a higher degree of precision can be achieved since the factors affecting the final bending result are already integrated into the software.These advanced functionalities like speed compensation, acceleration and deceleration ramps, roll parallelism, operating pressure and interpolation function for smooth transitions when bending complex shapes with multiple radii provide the level of control and accuracy complex bending requires. One of the most important features is that the software is prepared to interface with industrial robots. While loading automatically plates from stacks, the CNC is able to read the barcode of each specific plate and change automatically to the corresponding program, which increases manufacturing productivity and quality by automating the whole process. In addition, ROUNDO CNC offers highest versatility by offering an automatic compensation for variation in plate thickness and yield point, adjusting the parameters of the program according to the different dimensions and values. ROUNDO’s new wCNC4makes operating CNC machines easy and efficient by combining ROUNDO software with an updated graphic and future proof hardware. We offer an extensive range of parts solutions ensuring constant availability as well as an incredible network to deliver items as quick as possible. The new ROUNDO wCNC4 runs under Microsoft Windows 64-bit Operating System installed on an industrial Siemens PC terminal. The PC communicates with a Siemens PLC through a CAN field bus system, which ensures high-speed data transfer rates and reliability. All CNC bending programs, as well as language support and machine dependant constants are stored in databases on the hard drive. Therefore, there are virtually no limits to the number of programs that can be stored. It is also possible to import DXF and the software can automatically calculate the bending program. Our new user-friendly interface, easy-to-operate and learn, is suitable for new operators, since previous experience is not required. Based on the same working principles and instructions as previous CNC versions, it enables existing ROUNDO user’s a fairly straightforward operation. Ultimately, all ROUNDO machines equipped with wCNC4 are prepared for online teleassistance; through a router device connected to the network, our engineer can connect remotely with your machine at any time whenever assistance is needed. 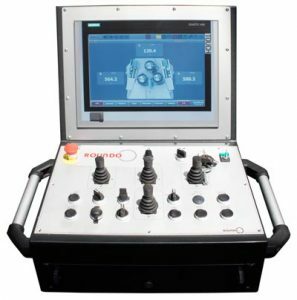 Each ROUNDO CNC system’s upgrade, has been carefully designed with the purpose of providing an easy operation for production continuity and meeting our customers’ needs. 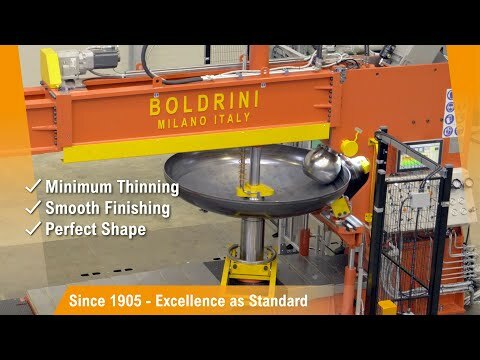 Roundo is a division of Faccin SpA Group that combines a number of leading brands – Faccin, Boldrini and Roundo – in plate rolling, profile bending and dished-heads manufacturing, all united under one roof and offering a wide range of high-quality options available in the metal forming market.